I love designing hand cut gemstones to become beaded or wire wrapped earrings, bracelets and necklaces. Born in Southern Louisiana, I learned sewing and creating with my hands gave me great pleasure, therapy and new things that I would otherwise not have been able to have. Living in Texas for the past 30 thirty years taught me that even though I prefer the cosmopolitan areas, there is still a Wild Wild West. I feel like this is the dream chapter in my life, “ Do something you love and you will never work a day in your life." I feel a natural closeness to gemstones from the earth and always enjoy learning about the metaphysical and healing properties of these elements of the earth. I love sharing this information with you and hope that my one of a kind pieces can have a positive impact on your lifestyle. 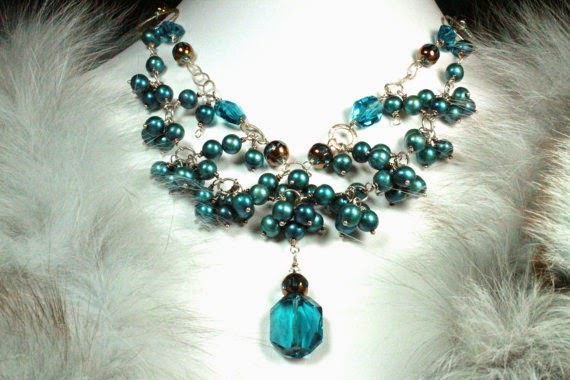 My beaded and wire wrapped jewelry pieces are made from the finest quality elements and I take great pride in making sure your gemstone piece fits you properly. You will love and desire the powerful energy that is created from wearing a quality gemstone piece from Austin Leigh Designs. I work with AAA and AA quality gemstones, fine Sterling Silver or Gold Filled metals. Even though I have dabbled in numerous artistic mediums over the years... my current love is semi precious stones and minerals of the earth. When I travel I always manage to find beautiful stones native to the areas I am visiting. It is my pleasure to give you some background about the qualities of different stones and how many cultures use their healing powers. Should you desire a different stone or style, custom orders are readily excepted. Please feel to contact me with your request. I was born in the south and hold a special place in my heart for Louisiana. Texas is my home now and has been for the last twenty ifve years. In my heart it is still the wild west. This is a lovely and deserved feature for a fellow Etsy teammate of mine. I have admired her jewelry for some time.